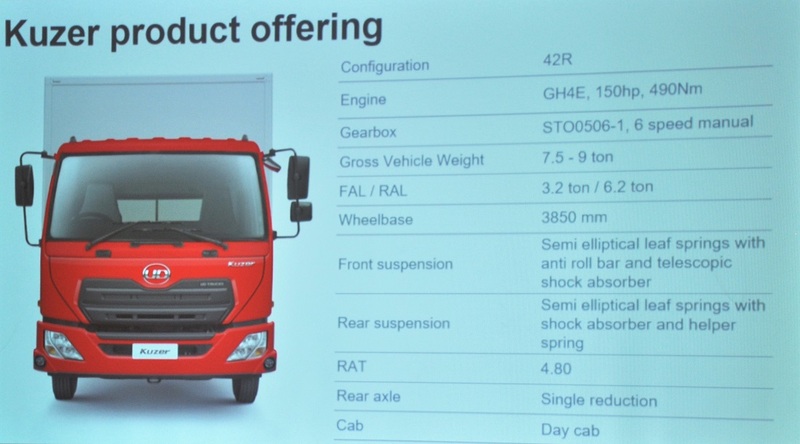 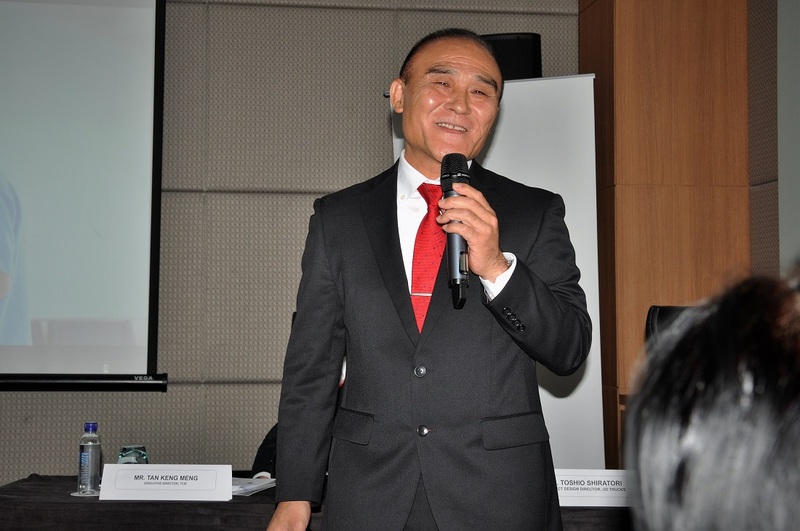 Japanese truckmaker, UD Trucks, and Tan Chong Industrial Equipment (TCIE), its sole distributor-partner in Malaysia, gave a preview of the UD Kuzer light duty truck at the recently concluded Kuala Lumpur International Motor Show (KLIMS), which is slated for an official launch in the 2nd quarter of 2019. 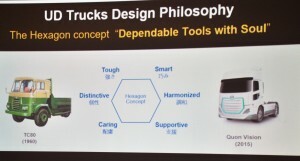 Toshio Shiratori, Product Design Director of UD Trucks, explaining the design features of Kuzer. 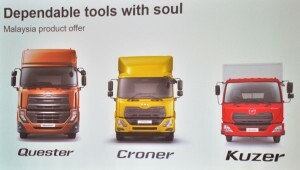 The Kuzer will join the lighter end of the UD spectrum, complementing the medium-duty Croner and heavy-duty Quester trucks. ‘Kuzer’ is inspired by the Japanese onomatopoetic (imitative) sound of wind. 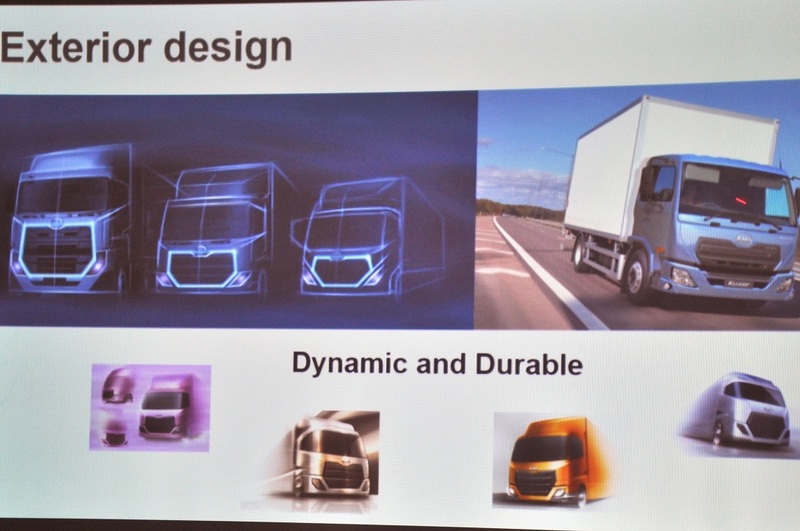 UD Trucks (which is wholly-owned by the Volvo Group; not to be confused with Volvo Cars, a separate entity) has designed the Kuzer for urban distribution tasks. 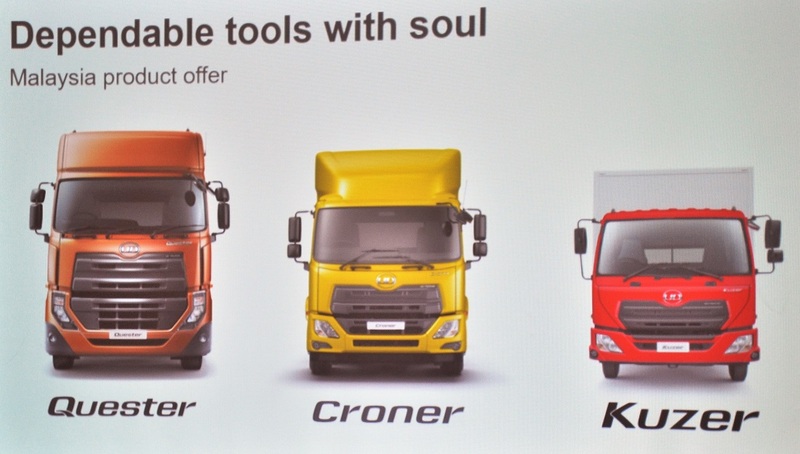 It is built to be flexible enough and with its short radius to manouevre tight city roads, while at the same time still provide the largest cab in its class for driver comfort. 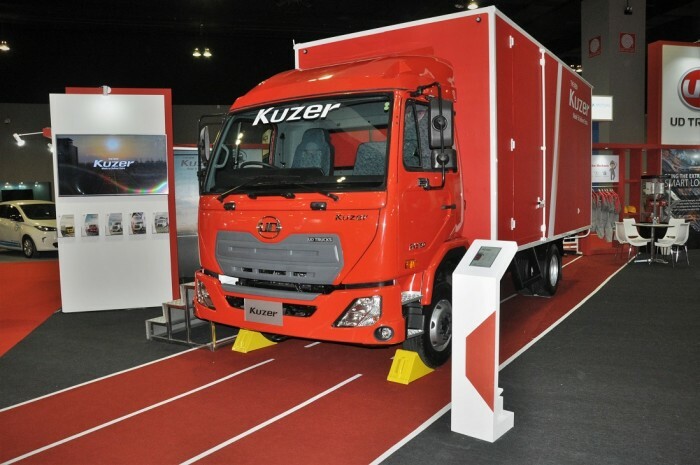 Built on the latest Japanese technology, the Kuzer uses a new generation 3.8L GH4E CRS engine and 6-speed overdrive gearbox for a combination of power and performance to optimise productivity and fuel efficiency. The engine produces 150 hp and 490 Nm of torque. 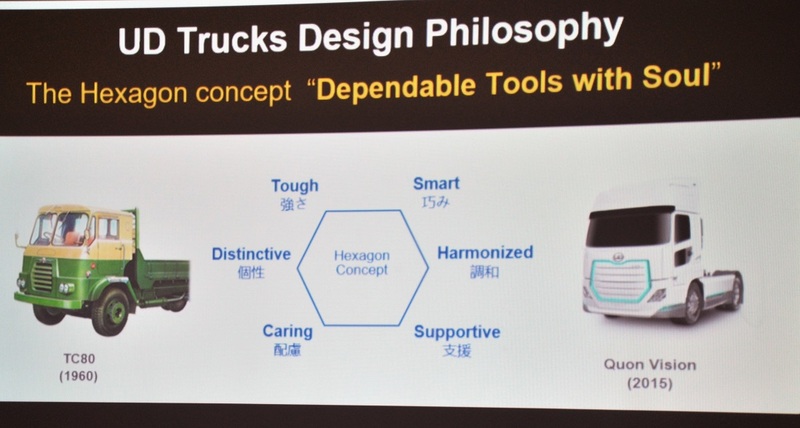 “Following the vision of UD Trucks’ founder, Kenzo Adachi to make the truck the world needs today, Kuzer is the perfect truck for urban driving, especially the narrow roads of inner cities,” said Steve Hedouin, Managing Director, Hub Malaysia and Oceania, UD Trucks. 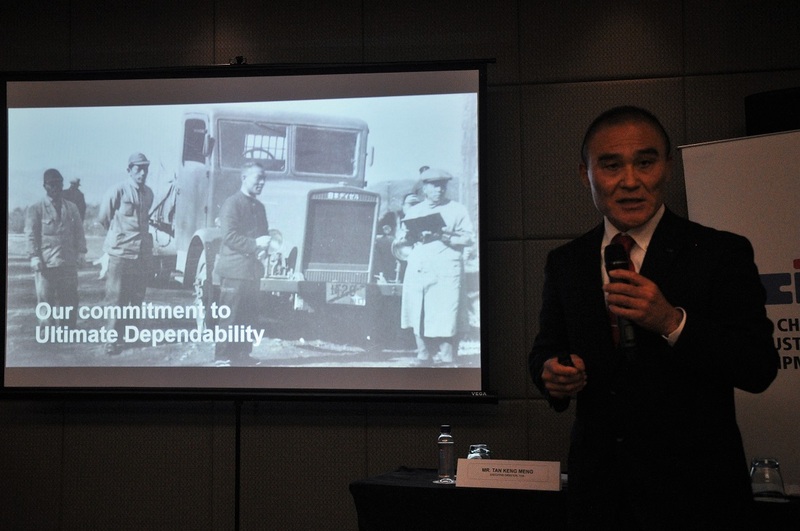 “TCIE has successfully built the footprint of UD Trucks in the market and achieved tremendous growth alongside the growth of the country’s automotive commercial vehicle industry over the last 40 years. 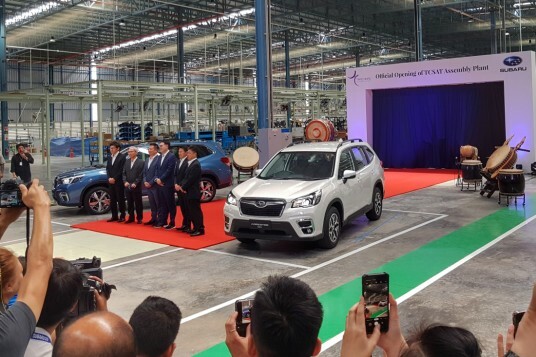 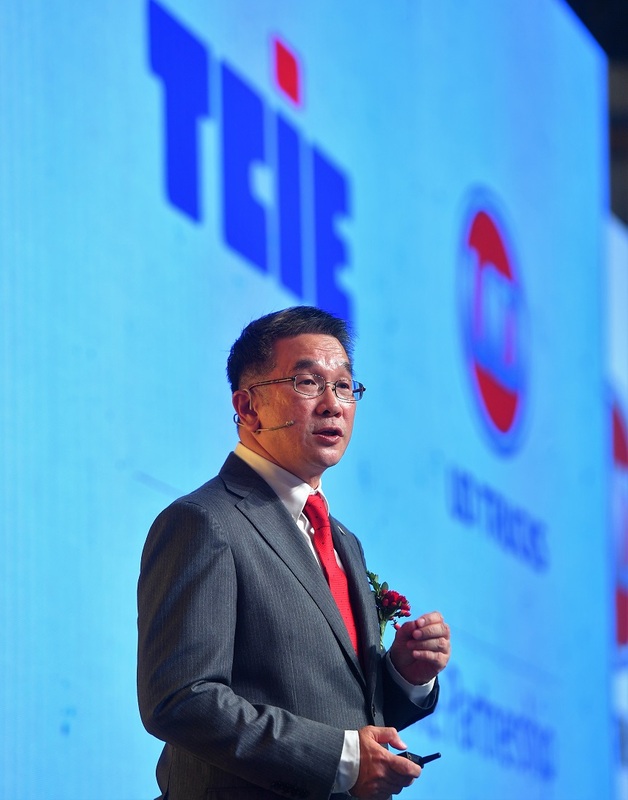 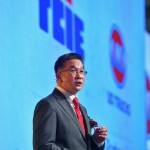 With the successful introduction of the all-new Kuzer, we hope to continue to offer our esteemed customers the best trucking solution and quality services in smart logistics,” commented Tan Keng Meng, Executive Director of TCIE. 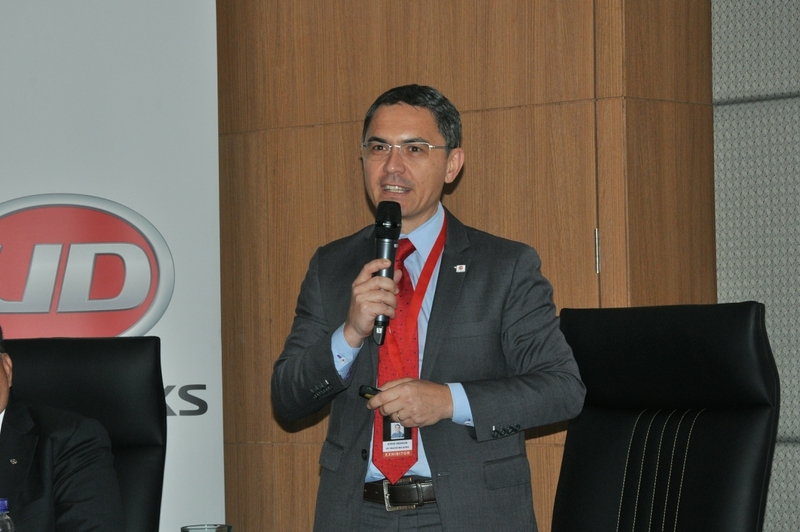 UD Trucks is supported by a network of 43 service centres and dealerships nationwide. 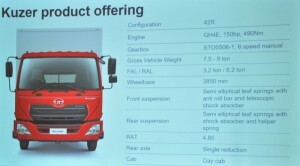 UD Trucks customers are also supported by the UD Extra Mile Support services which include UD Genuine Services and Parts, UD Driver Training, and UD Trust Service Agreements.